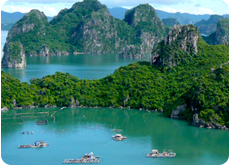 Join us on this trip through the heart of Halong Bay and Bai Tu Long Bay, spend two nights on the bay, discover Lan Ha Bay, Halong Bay and Bai Tu Long Bay, explore the hidden caves and peddle through the beautiful limestone rock formations. 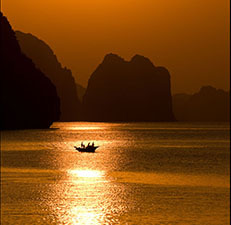 Come with us to experience Halong Bay and Bai Tu Long Bay. 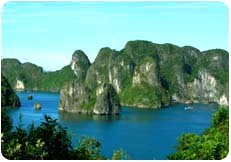 Halong Bay of the submerged dragon, which boasts 2000 craggy and towering islets, is amongst the most picturesque places in Vietnam. 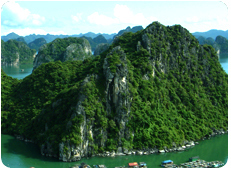 Departing from Hanoi we journey to Ha Long City, an afternoon's boating follows - time to appreciate the beauty of Halong Bay's towering limestone peaks. 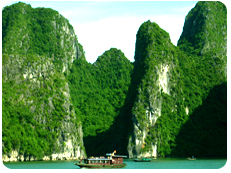 We retire to a particularly picturesque sport, situated on the northern part of Halong Bay, out-of-the-way and home to stunning rock formations. Here, we take a kayaking ride to explore the bay in close-up. 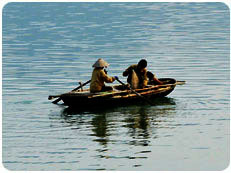 Late in the afternoon we find a peaceful place for anchoring our boat. The night is spent on our boat. (Lunch and dinner are included). 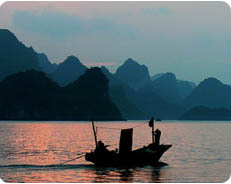 The day's cruising is follows - time to enjoy the dramatic scenery of Halong Bay and Bai Tu Long Bay's 3000 limestone peaks. 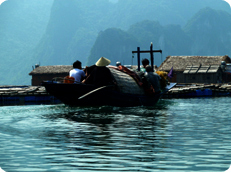 We have plenty of time for kayaking to see stunning rock formations and explore several floating villages along the way. 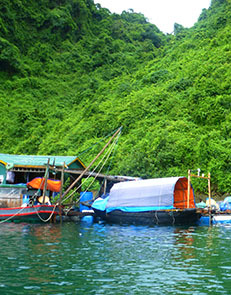 Arriving in Bai Tu Long Bay we spend the second night on our boat. (Breakfast, lunch and dinner are included). In the morning we continue navigating to explore some of the bay’s truly awesome scenery – vertical and unusual rocks and islets emerge from the sea. 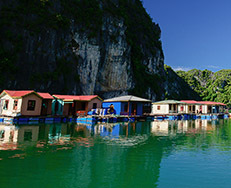 Weather permitting, there will be an opportunity to swim in the clear waters and kayak to see the further northern Bai Tu Long Bay. 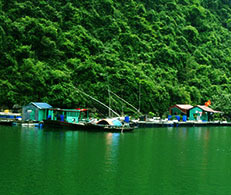 Eventually, the boat arrives in Halong City. 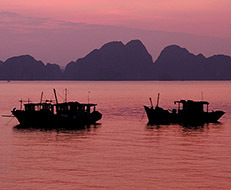 From here, we have a pick up for our return journey to Hanoi, arriving there at about 5pm. (Breakfast and lunch are included). - a 1-3 hour kayaking ride on Day 1. - a 2-4 hour kayaking ride on Day 2. - a 1-3 hour kayaking ride on Day 3. 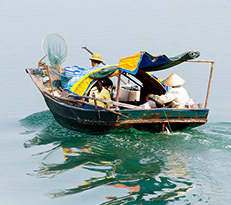 - overnight boat (2 nights). 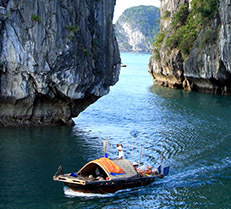 - $198USD per person for a group of 2 to 8 people. - $179USD per person for a group of 9 to 14 people. - admission fees and permits where applicable. Take a small day pack for cycling.